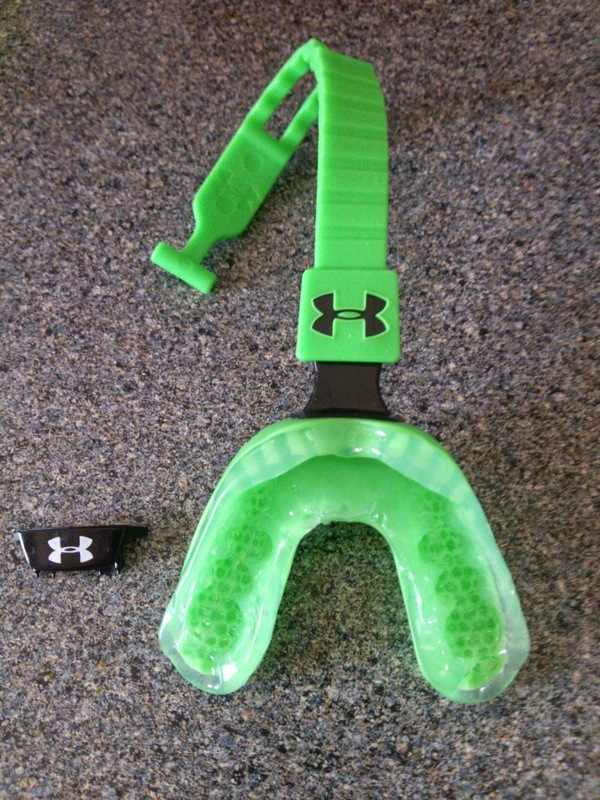 Under Armour has a complete line of athletic mouthguards with BiteFlex technology that absorb energy on impact to protect teeth and jaw, as well as an ArmourPlate insert for improved protection. And now they just came out with the ArmourShield Mouthguard with FlavorBlast, which has embedded flavor beads to deliver long-lasting taste. These are gluten-free, kosher, and sugar-free. There are 5 flavors: Orange Mint, Fruit Punch, Berry, Cool Mint, and Bubble Gum. They all come in different colors. 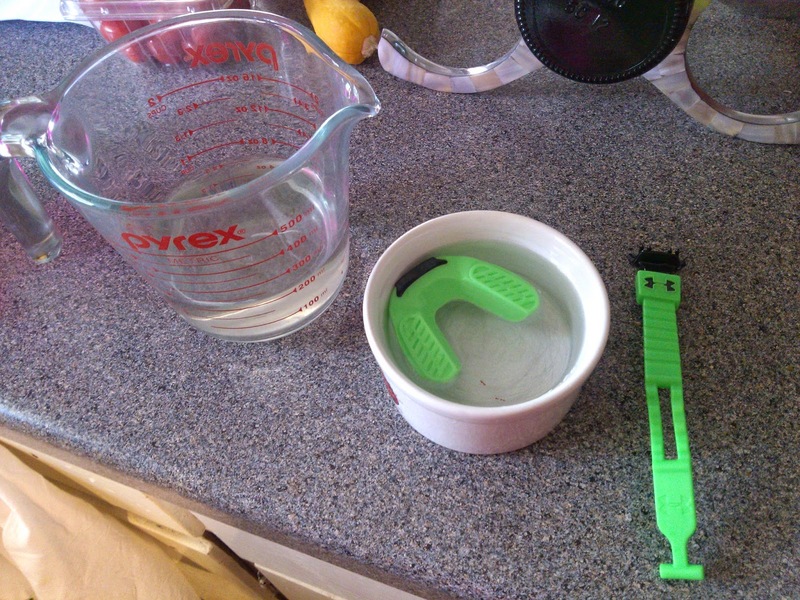 I received the green Cool Mint mouthguard for review. I wanted to try this because I grind and clench my teeth constantly and wear a dental bite guard at night, so I figured it would be good to have an athletic mouthguard for exercising so that I'm not putting so much pressure on my jaw. I was able to form my mouthguard in about 5 minutes. It was pretty easy with the boil and bite directions, although it took me forever to figure out how to get the tether strap attached to the guard -- Turns out the directions for this were at the bottom of the instruction list, and once I knew how to do it, it was pretty easy. My guard came out perfectly, it forms to my teeth really well, and tastes amazing. I love the mint flavor! It also has enough open space to allow me to breathe easily when wearing it. The guard itself is very high quality and I can tell from the structure and material that it will last a long time. I would recommend the ArmourShield with Flavor Blast to any athlete - especially football and basketball players. It provides protection for teeth and jaw, meets NFHS Rules, and the flavor makes wearing a mouthguard more enjoyable.